The name may be Italian in origin, but the latte is—without a doubt—a favored way to enjoy coffee in the U.S. Few single products can wake you up, warm your body, and satisfy your sweet tooth all in one gulp. Perhaps that’s why every cafe from Santa Monica to Manhattan has an entire section of its menu dedicated to this delicious caffeine staple. If you enjoy the smooth flavor and bold, energy-boosting effects of a latte without quite knowing what it is or where it comes from, you’re not alone. The name “latte” is derived from the Italian words caffè latte, which mean “milk coffee.” In fact, if you walk into any restaurant or café in Italy and ask for a latte, you’ll be given a glass of milk. In Italy, you have to ask specifically for a caffè latte. If you visit a Spanish-speaking nation, you can ask for a café con leche. In France and northern Europe, you’d ask for a café au lait. So where does the name actually come from? As with many of our favorite foods and beverages, the origins of the latte are a bit murky. Europeans have been mixing coffee and milk (the prime ingredients in a latte) for centuries, particularly in places like Italy, Spain, France, Germany, and Austria. Nevertheless, the modern latte—which is made with a shot or more of espresso—is widely considered an American invention. It became trendy in Seattle in the 1980s and was ubiquitous throughout the U.S. by the ’90s. 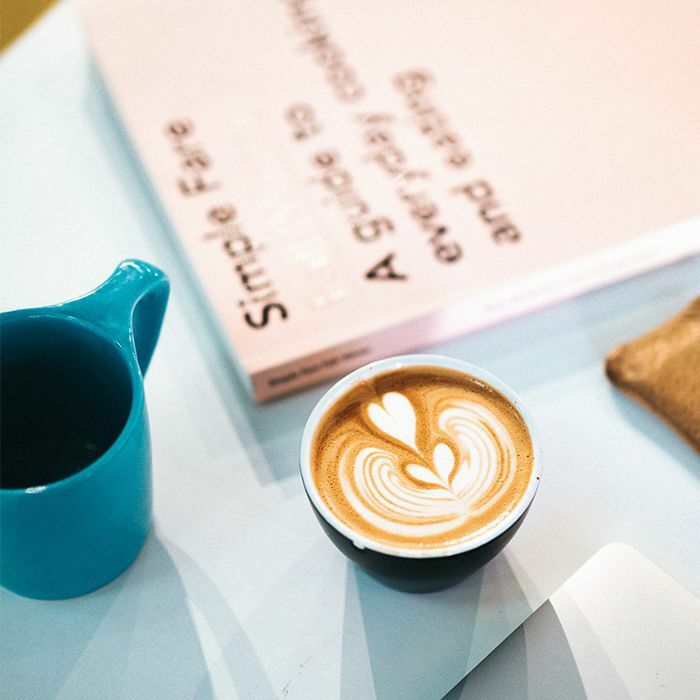 Around the same time that Seattle coffee shops started dazzling patrons with their new espresso-infused phenomenon, cafés throughout northern Europe began popularizing their own café au lait with steamed milk and espresso. Perhaps it was evidence that this irresistible coffee drink caught fire in different parts of the world around the same time. Today, it’s hard to imagine a time when lattes weren’t a part of our everyday lives. But the question remains: What sets a latte apart from other coffee drinks? It’s all about the ingredients and the preparation process. A typical latte is made with six to eight ounces of steamed milk and one shot of espresso. Larger lattes are often made with a double shot of espresso. The beverage may also be topped with foam for both flavor and presentation. A latte is similar to a cappuccino, but it has less foamed milk and more steamed milk. A macchiato has no steamed milk whatsoever, but it does have the latte’s familiar espresso and foamed milk. Then, of course, there’s the iced latte, which is just chilled milk and espresso served over ice. The ice can be blended for a more even consistency. Sugar is also added for flavor. Again, people have been mixing milk and coffee for centuries, but it’s the espresso that makes a modern latte unique. In fact, the latte has its signature “kick” because of this ingredient. Espresso is coffee prepared using a pressurized brewing process to create a more concentrated drink. Because it’s so concentrated, it has a more dense proportion of caffeine than other drinks. One latte can give you the same buzz as an extra-tall energy drink. Lattes have enjoyed widespread popularity for at least three decades now, but the “latte art” phenomenon is still relatively new to the scene. We’ve all seen it—that beautiful presentation of white milk along the top of a mug that’s arranged in the shape of a flower, a bird, or even a face. It’s pretty remarkable, but how do they do it? The designs are made with steamed, frothing milk. The espresso is added to the cup first, and then steamed milk is slowly added. Within a few seconds, the white milk rises to the top, and the remaining milk can be poured as a pattern or design as though it were being painted onto a canvas. Read on for seven healthy latte recipes made with some of our favorite superfood ingredients.